Transform your sales and business processes with Microsoft’s cloud-based CRM and ERP solution. Microsoft has moved its CRM beyond sales force automation by integrating digital intelligence into every deal to properly predict client’s needs and deliver personal attention that builds relationships and revenue. Even though Dynamics 365 is a ready-to-use platform, EPC Group knows that the right implementation method and strategy is paramount in delivering the most value to your company. This platform can seamlessly capture and present vital information during the sales and prospecting lifecycle. Our implementations help to increase customer acquisitions and retention percentages using complete customer lifecycle management. 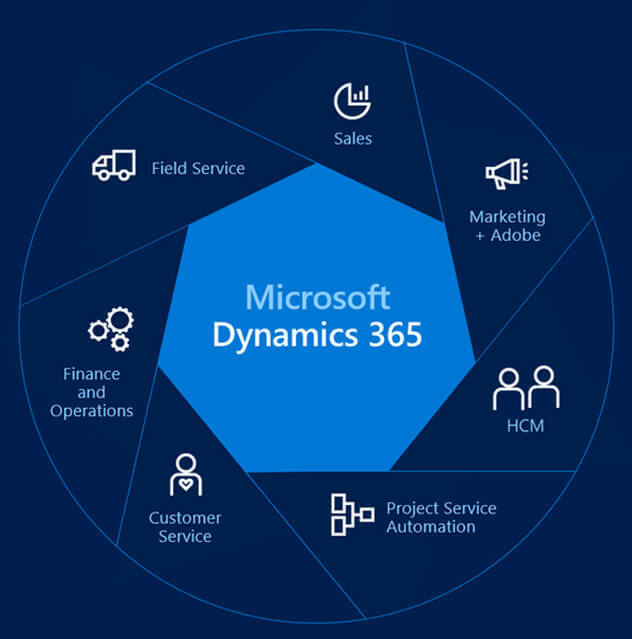 EPC Group’s team of Dynamics MVP’s have the experience and expertise to offer your organization the most user-friendly Dynamics 365 implementation across sales, customer service, field service, operations and financials. EPC Group works to empower your users with confidence so they can leverage advanced functionalities of Dynamics 365 and improve your business efficiency. Data migration and integration includes anything from sales figures to customer profile information. EPC Group ensures that duplicate data entries are eliminated so that you receive a true, holistic view of all cross-linked data across multiple applications. Our team of Dynamics 365 Experts has the knowledge and real-world experience necessary to deliver a seamless transition. EPC Group offers a complete range of Dynamics 365 development services that take advantage of all the existing platform features. We work with you to build on and extend Microsoft Dynamics 365 capabilities by creating custom-tailored solutions with robust capabilities that solve your business needs. You will have full access to the features and capabilities of the core platforms, and integrate these into the Dynamics 365 user experience. EPC Group’s team of Dynamics 365 Experts have over 21 years of considerable knowledge. We help you evaluate, define, execute, and train, all while offering constant support during your Dynamics 365 project. Our team works on your effort using defined models and experience handling projects across different versions of the platform. Organizations must have a continuous strategy around building applications, automating workflows, and bringing additional data insight into your business. Dynamics Managed Services from EPC Group accomplishes all of this without the hassles of frequent proposals, approvals, POs and change orders. In-depth assistance and consultancy across all CRM related requirements. Unmetered break / fix Microsoft Dynamics 365 / CRM support at no additional cost to quickly resolve issues and answer user questions. Fits your budget – Start with our minimum of 25 CRM hours annually or customize a monthly bundle of hours to fit your needs. Assigned Account Lead – One of our experts will be responsible for managing your account. Great ROI – with Microsoft Dynamics support, our managed services offerings represents a significant saving. To enable your organization to be self-sufficient and not tied to a consulting company, you may wish to develop your own capabilities for self-service and user-adoption. EPC Group understands that true success with a new platform is all about user adoption, our focus is to provide frequent training of short duration to ensure the interest levels stay high and attendees absorb all the information. EPC Group uses leading CRM technologies such as Microsoft Dynamics CRM and Salesforce to build comprehensive integrations with Microsoft SharePoint 2019 and Office 365. Our hybrid services model enables the rapid and cost-effective extension and integration of the Microsoft Dynamics CRM platform with your suite of Microsoft technologies and non-Microsoft technologies. We work with organizations across industries to configure, customize and implement Microsoft Dynamics CRM as well as extending and integrating into Microsoft SharePoint. EPC Group’s hybrid services approach enables us to rapidly and cost-effectively extend the Microsoft Dynamics CRM platform to develop applications that are ideally suited to manage your specific business processes. We assist with Microsoft Dynamics CRM Implementation, Integration, Migration and Development both on-premise and in the cloud. We work alongside organizations to customize and configure Microsoft Dynamics CRM to meet specific business and user needs. Microsoft Dynamics CRM or XRM instantly leverages the .NET Framework which allows for a seamless integration with Microsoft enterprise applications and other line-of-business (LOB) applications. Building upon a single prebuilt platform you will gain the flexibility, functionality and advanced user capabilities you need while reducing overall costs. EPC Group’s Dynamics consulting service enables organizations to achieve cost-effective Microsoft Dynamics CRM integrations and solutions by leveraging existing Microsoft technology, decreasing licensing costs, enhancing productivity through faster delivery and access to enterprise information. EPC Group carries the expertise needed to deliver valuable CRM solutions by leveraging our deep experience in application integration, business intelligence, enterprise mobility and custom development for full branding. We are the end to end Microsoft Dynamics CRM provider that helps clients achieve maximum value from their CRM investment by fueling the power of CRM across the enterprise. EPC Group also provides Salesforce consulting services from Salesforce Certified Consultants. EPC Group uses leading CRM technologies such as Microsoft Dynamics CRM and Salesforce to build comprehensive integrations with Microsoft SharePoint 2016 and Office 365.